FM Corporation, established in 1952, is a contract manufacturer of quality fabricated sheet metal and machined parts for many industries including: Medical, Scientific, Aerospace, Agriculture, and many more. FM has the equipment and employees needed to meet any customer’s needs and expectations, while ensuring on-time deliveries and quality parts, every time. We are committed to quality; this is evident by our ISO-9001/2008 certification as well as our on-going commitment to continued improvements to our processes. The FM Metal Division Facility is located in Sulphur Springs in the northwest corner of Arkansas. Our location is near major transportation routes and metropolitan areas, such as: Tulsa, OK; Little Rock, AR; Joplin, MO; Springfield, MO; St. Louis, MO; and Kansas City, MO. We have two punches that can be programmed to do high performance, tightly nested, punching sequences to minimize sheet stock usage. Specific tooling can be obtained as necessary. To enhance our punching operation, we also have two break presses that allow us the option of a variety of bend configurations to meet your designing needs. FM Corporation’s CNC turning center production capabilities range from small to moderate sized runs. We work with Aluminum, Bronze, Plastic, Steel, Stainless Steel, Tool Steel, and many other materials. Our integrated technology ensures that your company received the highest quality product at a competitive price. Close tolerance machining is a long tradition at FM Corporation. From the beginning, FM has machined a variety of materials from simple to complex. Our control and repeatability have continued to improve as we have added CNC equipment. 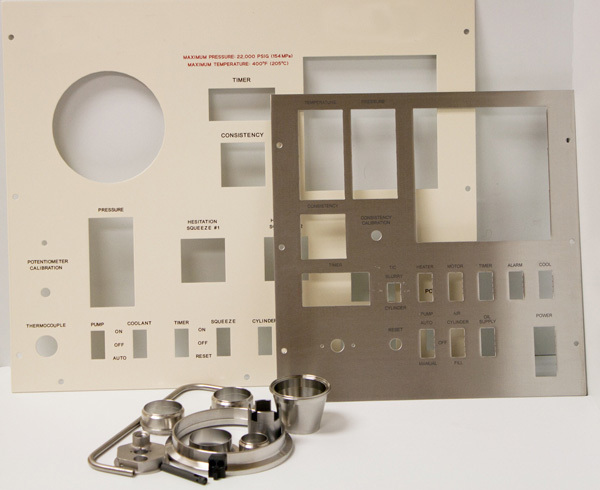 Depending on your project requirements, FM can handle small to mid-sized quantities of machined parts.